Chitose Hamari Chemicals, Ltd. | Hamari Chemicals, Ltd. 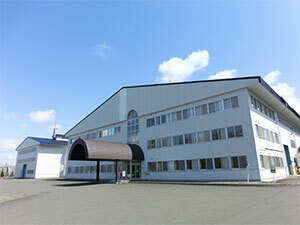 Established in April 2013, Chitose Hamari is a manufacturer of active substances. Chitose Hamari takes advantage of its advanced development capabilities to create a production facility that surpasses environmental management and GMP quality management standards. Chitose Hamari is a dedicated site for plant extract products, and high potency peptide products. Chitose Hamari Chemicals, Ltd. is a 100% fully-owned subsidiary of Hamari Chemicals, Ltd.